For every fleet, there comes a time when it makes more sense to retire an asset than it does to repair it. A recent article in Automotive Fleet details how technological advances over the last 30 years have affected the way auto-based fleets approach asset-replacement cycles. This raises the question: With truck technology rapidly evolving and the exponential proliferation of feet maintenance data, how should fleets adjust their truck replacement cycles? To answer that question we turn to Steven Saltzgiver, a senior associate at Mercury Associates, an independent fleet management consulting firm. With over 40 years of experience including fleet management roles with Coca-Cola, Republic Services as well as the states of Utah and Georgia, Saltzgiver offers expert insights into how to approach truck replacement cycles. Decisiv: How have fleets, especially those with larger trucks, traditionally approached asset-replacement cycling models? Saltzgiver: Traditionally most companies replace assets using an informal approach to establishing life cycles. Historically, this is accomplished based on discussions with mechanics and drivers, a comparison of replacement cycles with peer organizations and historical replacement funding levels for an entire fleet. Most companies replace vehicles when faced with the reality that replacement makes more fiscal sense than continued maintenance and repair. This rationale does not always make economic sense relative to the total cost of ownership. The reason for this is that financing a new vehicle acquisition for approximately $80,000 represents a large lump-sum cash outlay, whereas the ongoing marginal increase in repair costs would likely only cost approximately $5,000 to $10,000 per year. Obviously, this lesser fiscal decision to repair the vehicle will have a far smaller impact on the company’s annual fiscal budget than will the replacement of the vehicle. Making a decision from a fiscal versus economic standpoint usually does not take into consideration the indirect costs associated with the operation of a vehicle, which can represent much greater cost impacts than companies realize. As an example, the costs of downtime (waiting for repair) can be substantial and could increase the overall number of assets operated by a fleet, which increases depreciation expense. This said, the best companies understand the difference between fiscal and economic realities, and perform the analysis necessary to determine optimal replacement cycles. Decisiv: How has this approach changed over the last 10 years? Saltzgiver: More and more companies are starting to think more holistically and long term, which drives them toward analyses of total costs of ownership. Mercury engages with many companies to assist them with optimal replacement cycle analysis, long-term replacement planning and right-sizing the fleet to reduce costs associated with too many vehicles. Decisiv: In today’s data-driven world, how should fleets best weigh asset-replacement cycling models? Saltzgiver: Using company data proactively. As a vehicle ages, its capital cost diminishes and its operating costs increase. The combination of these two costs produces a U-shaped total cost curve. 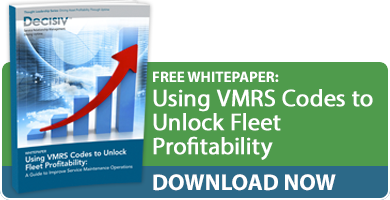 Ideally, a vehicle or piece of equipment should be replaced around the time the rise in annual operating costs begins to outweigh the decline in annual capital costs – that is, when the two cost curves intersect and the total cost curve begins to turn upward. The total cost curve is different for different types of vehicles and, indeed, for individual vehicles of a given type. However, best practice fleet management organizations develop these cycles empirically using life cycle cost analysis (LCA) techniques. This approach involves modeling the stream of costs associated with the direct and indirect costs of acquiring, operating and disposing of a particular type of vehicle or piece of equipment over various replacement cycles, and then determining the cycle that will result in the lowest total cost of ownership. Decisiv: What role can technology solutions play in improving the process of capturing and analyzing key data points to help fleets make better asset-replacement cycling decisions? Saltzgiver: The functionality of a quality fleet management information system that captures accurate and timely data permits companies to produce targeted queries and to create management reports to enhance the effectiveness of management decision-making, forecasting, planning and budgeting. The company can utilize these capabilities to enhance their understanding of the fleet management organization, fleet suppliers and fleet performance. The creation of routine reports and key performance indicators can be made available to demonstrate service level statistics and performance ratings. This is an efficient method of “advertising” the fleet’s benefits to its customers. Moreover, providing a current snapshot of operations (e.g., works in progress, vehicle history and completed work) allows customers to monitor the readiness of their vehicles, while allowing customers to track maintenance and repair costs. The ability to produce ad-hoc reports allows companies to gain access to timely data for effective decision-making. Lastly, providing a current snapshot of operations allows companies (and their vehicle users) to monitor the readiness of their vehicles while allowing them to track maintenance and repair costs. Improving asset-replacement cycles for your fleet means you need access to quality data from a variety of sources at the right time. For this, you need a data integration platform that merges real-time fleet maintenance data (ideally in VMRS code format) from OEMs, service providers and in-house repair shops. With this information, you’ll be able to see the big picture, and make the kind of asset-replacement decisions that boost your fleet’s long-term financial health. How have you used data to adapt your fleet’s asset-replacement cycles? What factors go into your asset-replacement calculations? Please post a comment below to share your thoughts.